Yesterday was our last day diving on the Tulsamerican and today we completed a dive on another B-24 wing in Komiza harbor to get corrosion potential and pH readings. This will make a great range in depths we’ve taken samples from, all from several places on the starboard wings of B-24s. The results should be able to tell us at what depth the B-24 is slowest to corrode. My initial guess is shallower, but we’ll see! 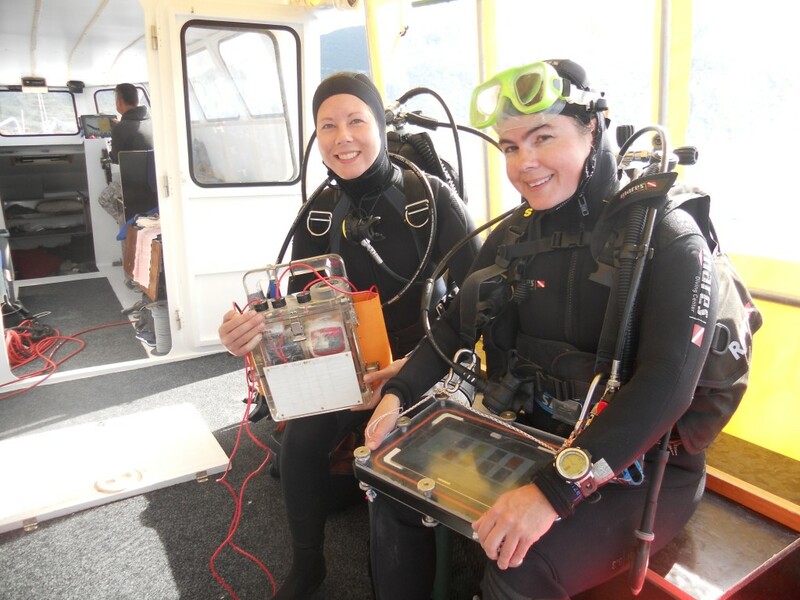 We took down my box o’meters and my buddy diver Dr. Bridget Buxton of URI took down a tablet she and the team from University of Zadar have been testing. I was able to write notes on it for a bit, it was very cool! After this dive we called the project complete. 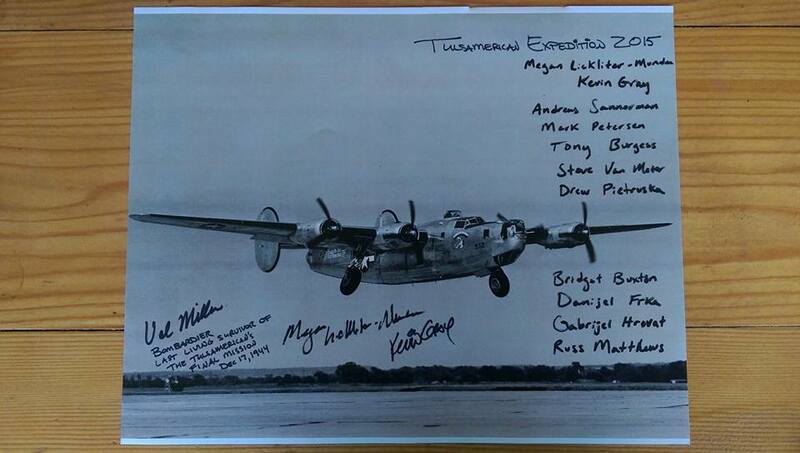 Below are posters we got from Kevin Gray, project member and board member at the Tulsa Air and Space Museum, which are signed by Val Miller, the bombardier during the Tulsamerican’s final flight and the last remaining survivor of the wreck. We all felt really honored to be able to share this. Pictured here is our dive operator’s copy who wanted Kevin and I to sign it as well because of my expected future fame after I get my PhD :) no pressure!! Megan Lickliter-Mundon and Bridget Buxton trying out the tech boxes.